A versitile, authentic 150 year old product that is truly natural and biodegradable. 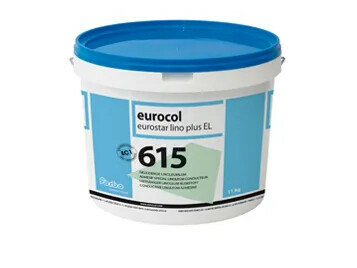 Linoleum adhesive with a high initial grab, non-flamable, easy and safe to apply, roller-castor-chair resistant, favourable spreading capacity. Solvent-free conductive linoleum adhesive with a high initial grab, very low VOC-emission. 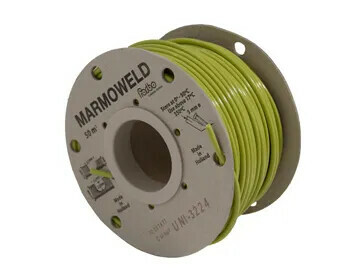 Electrical resistance < 105 Ohm, Very low VOC-emission, micode EC 1, solvent-free, non flammable, easy and safe to apply, high initial adhesion strength, favourable spreading capacity, roller-castor-chair resistant. Solvent-free floor covering adhesive with a high initial grab for the installation of PVC floor covering in sheets and tiles, cushion vinyl, PVC backed carpet, rubber floor covering in sheets and tiles with a smooth back and polyolefin floor covering. Solvent-free, non-flammable, easy and safe to apply, high initial adhesion strength and final bond strength, favourable spreading capacity, roller-castor-chair resistant. 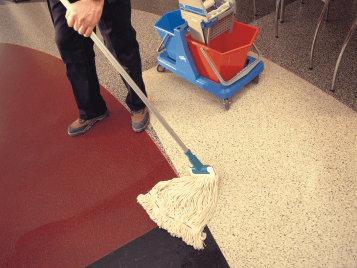 Our linoleum floors are easy to clean and maintain thanks to their durable UV Crosslinked Topshield2 finish. 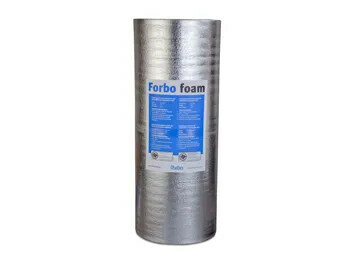 Forbo recommend using Forbo monel cleaning agent. Monel is a residual soap film detergent which requires basic floor care tools when maintaining Marmoleum and vinyl in areas of high traffic concentration, abrasive sand, and grit or where the floorcoverings will receive minimal maintenance due to time restrictions and where limited use of appropriate cleaning machines is necessitated. 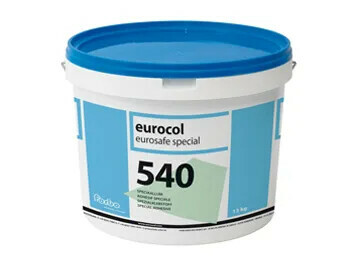 Marmoleum is naturally bacteriostatic or antibacterial (due to linseed) so adding large amounts of disinfectant to the bucket is not necessary. If ever there was a miracle cleaning product, Forbo Monel is the one. Monel is an effective PH neutral cleaner and has a matt finish that protects Forbo's Marmoleum, vinyl and timber floor coverings. Monel is used in minute dilutions and can be used in commercial machines or at home with a cap full and mop and bucket. Removing rust marks: cut a lemon in half, squeeze the lemon juice onto the mark and let soak for a few minutes, rub the wetted mark with a clean rag to help agitate the mark, once removed rinse over with clean water. Removing scuff marks: Attach a new tennis ball to a broom handle (saves bending down) then gently rub the scuff mark until it is removed. Cleaning Chemicals: Neutral alkaline (pH) is 7. Forbo recommends neutral detergents that are pH 7 (neutral) to a range when mixed with clean water not to exceed 8.5 pH. buffing machine on Monel as the Monel is a modified soap residue which can be easily damaged and removed by this process. Always check that chairs and table legs have felts or plastic end stoppers on the bottom. Unprotected metal chair legs may damage your floor. Mobile petition boards generally don’t come with felt or plastic feet. Over time when exposed to moisture from wet mopping, the powder coated feet of these petition boards may bleed their colour into the floor. Please add felts or plastic furniture feet to these mobile petition boards. As a general rule when using cleaning brushes; test the rigidity/hardness of the brush by moving it slowly down your forearm. 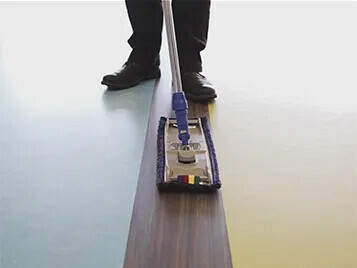 If the brush leaves a red mark or chafes it is too hard to be used for manual or mechanical cleaning of Forbo Marmoleum or vinyl floorcoverings. As a general rule contaminated cleaning water should be changed every 30 m2 of floor area. Keep your floor and premises looking clean & presentable with proper entrance flooring. 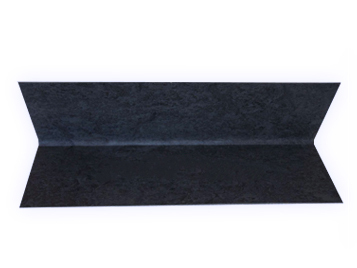 Forbo Coral reduces cleaning time by up to 65% and can stop up to 95% of dirt and moisture from entering a building. 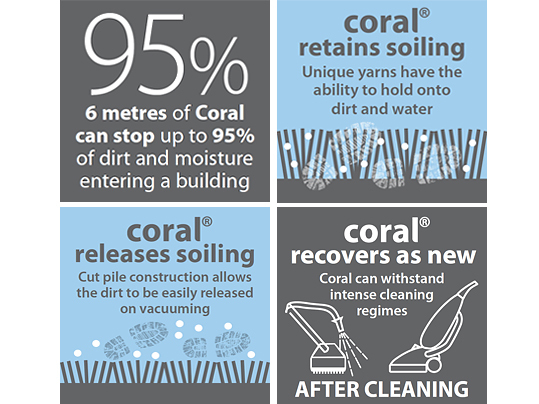 Whether it be a single classroom or large multi-purpose building, Coral can help extend your internal floors life and reduce cleaning costs. After installation, Forbo's linoleum floorings can be hot-welded for functional, decorative and/or hygienic reasons. 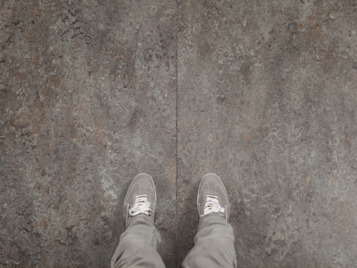 Marmoweld Uni is available in plain colors that perfectly suit the flooring collections. 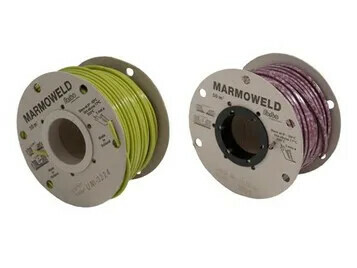 The patented multi-colored Marmoweld MC allows creating invisible seams. 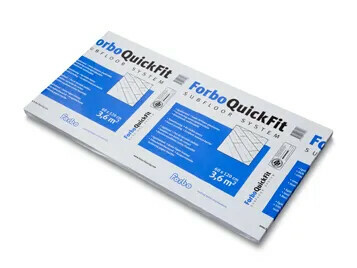 The Forbo Quickfit system comprises self-adhering MDF panels and damp-proof sound insulating Forbo foam. 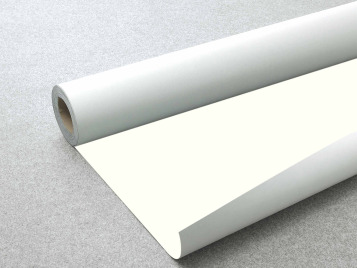 Polypropylene foam laminated with metallised polypropylene foil. The foil top layer incorporates a self-adhesive overlap of 20 cm for secure seams. Package: Roll of 25 linear metres PE foam, 100 cm wide, 4.5 mm thick. 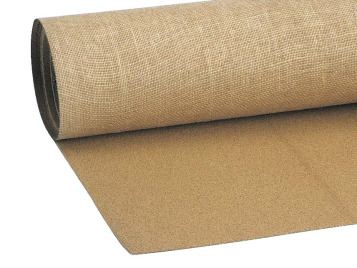 Corkment underlay can be used in combination with regular Marmoleum to achieve an impact sound reduction of 14dB. Acoustic underlay with 18 dB sound reduction. 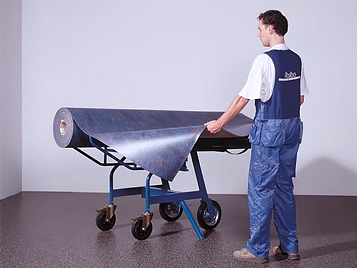 The Forbo Marmocar is a very useful aid for the transporting and unrolling of 2 metre wide rolls of floor covering. Because of the sliding mechanism of the upper tipping part, little effort is required for one person to load and unload the rolls. The upper part (slide) can be separated from the lower part, which is particularly useful for transporting the Forbo Marmocar. 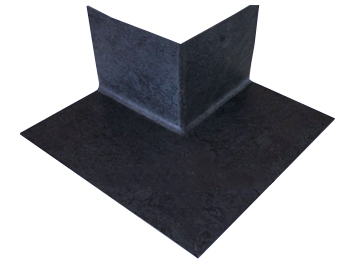 Forbo offers a pre-formed linoleum ‘Cove-Ezi’ set-in coving system Cove-Ezi is fabricated locally with the same dye lot material as the main flooring finish to prevent any colour batch variation. “V” notch trowel. 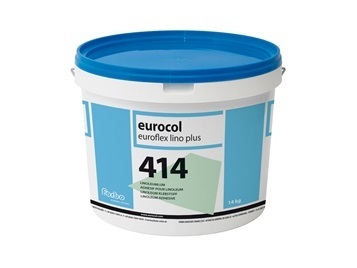 Please test a small area of coving to familiarize yourself when using Forbo Fix 414 adhesive process. The preformed Cove-Ezi Internal corner is a strong, elegant preformed coving that reduces dirt build-up and is easy to install. The backing support is PVC and resin which forms an internal radius of the cove is 9 - 10mm. The top edge of the cove is chamfered to remove the Hessian backing to allow for a smooth tight finish against the wall. 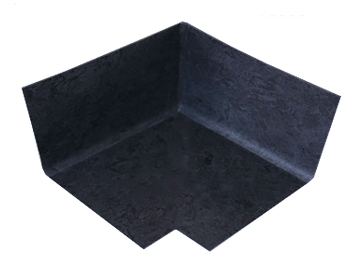 The functionality of the Cove-Ezi External corner is the same as the Cove-Ezi internal corner, but it can be installed in outer corners instead of inner corners. Pre-formed Marmoleum skirtings add the finishing touch to the floor. When the skirting is welded to the linoleum floor, it ensures a hygienic, watertight floor. To weld or not to weld? In most of the cases welding a Marmoleum floor is not required. Skilled installers can make perfect joints without using a welding cord. However, sometimes local laws or regulations could make that you need to make sure you put a welding cord between two sheets. For both situations, Forbo Flooring offers the best solutions. Think about installation guides, instruction videos and welding rods specifically developed for Marmoleum floors. 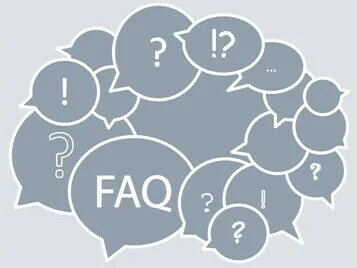 Visit our Net fit or welding installation page to get more information. 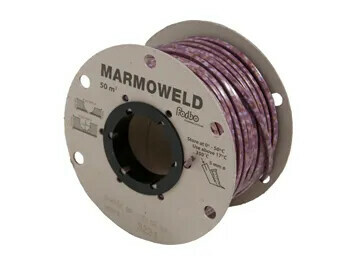 Marmoweld is a welding rod specifically developed to weld Marmoleum. For all Marmoleum colours we have developed a matching Marmoweld colour. It is available in uni-colour (round rod) or in multi colour (square rod). After installing the floor you have the option to weld the seams. This is in many cases not really necessary but some cases ask for it. In this instruction video, we show you how to weld properly.